From late September to late April, Perigord (known to most as the Dordogne) is a different place to the one seen by visitors during the summer. The days may be shorter and from December through February the weather can be cold and damp, but with the morning mist sitting over the Dordogne River and the low sun reflecting on the yellow stone buildings, the Dordogne, is as stunning as ever out of season. The opportunity to explore this ‘land of 1,001 châteaux’ with its beautifully preserved rural landscape and meander through stunning Bastide towns like Monpazier and visit the beautiful villages of Trémolat and Limeuil, is worth wrapping up warm for. Wine shops and vineyards can give you their undivided attention, even finding time for some tastings, and you’ll always find a table to enjoy the local delicacies at your favourite restaurants. The autumnal colours are stunning as vine leaves appear to ripen and the dense oak forests, after which the Perigord Noir is named, reflect the fiery red and yellow autumn foliage in the autumn sun. And in the spring, a sunny week in March with the blossom coming through on the trees is simply magnificent. Out of season, the Dordogne also enjoys many food celebrations – Périgord Black Truffle markets from December through February; Walnut Fair in February and Goose Fair in March, plus many more. 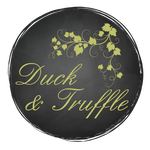 Duck & Truffle is run by four friends, living in Trémolat with a passion for the Dordogne, its history, food and wine. We would like to share this passion with you in our out of season gastro guided tours. Our tours are customised for small groups and led by Max, a multi-lingual sommelier who is a long standing local resident with a wealth of knowledge and passion for local gastronomy and history. If there’s something about one of our tours that doesn’t quite fit your interests or preferred timing, we would love to put together a Duck & Truffle gourmet break uniquely designed to your specification. Contact us for more information or to discuss a bespoke gourmet weekend. 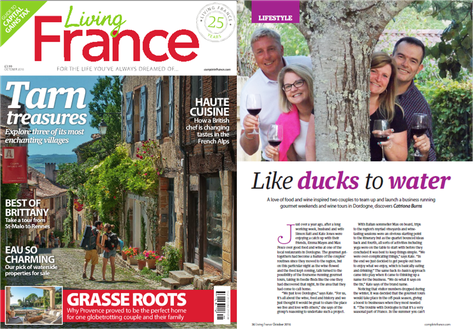 Duck & Truffle is run by four friends living in South West France - Kate, Emma, Max and Simon. Max (Massimiliano), is a multi-lingual Italian qualified sommelier with more than 25 years experience in Relais & Châteaux and Michelin-starred restaurants. His passion for food and wine is addictive. To listen to him explain about different wines and why one wine goes better with one particular food than another is just a pleasure (plus his Italian accent!). During the winter months life can be quiet in the Dordogne and for all of us it's our time to visit vineyards and hunt out hidden restaurants - whilst there are no tourists, no long queues and its not too hot to sit in a car! One day, discussing our latest find, we said "it would be great to share this with other like-minded people". And so our concept began. To share great value food and wine at very reasonable prices. Many tour operators focus on Sarlat, Bordeaux and Bergerac, the bigger towns. We focus on the smaller towns and villages nearby, working with locals - many of whom we have known for years. And in all of this what do Emma, Kate and Simon bring? We each have our 'day jobs' but for Duck & Truffle, our job is to organise Max and turn all the handles behind the scenes to ensure your experience is one to savour for years to come.